ESPN Radio host Dan Le Batard offered a unique, and somewhat surprising take on how someone should go about getting a job at ESPN. The late-morning radio host said that listeners and fans have frequently asked him how to get a job talking about sports at ESPN. Le Batard’s advice? Do the work that ESPN will not do for itself, and be a conservative. This makes total sense, after all, ESPN has a reputation of being a sports mouthpiece for the left. So why not blaze a new trail for yourself by giving them something they don’t currently have, while also giving the network a chance to shatter some stereotypes? Sounds great, right? What could go wrong? Well, as we’ve seen, everything could go wrong. ESPN’s problem is not that it won’t hire conservatives. At various times, the network has employed Rush Limbaugh, Mike Ditka, Curt Schilling, Will Cain, and Craig James. In addition to Tim Tebow, who, I’m not necessarily sure is a conservative, but is definitely someone who possesses conservative religious and social views that run afoul of ESPN’s liberal orthodoxy. 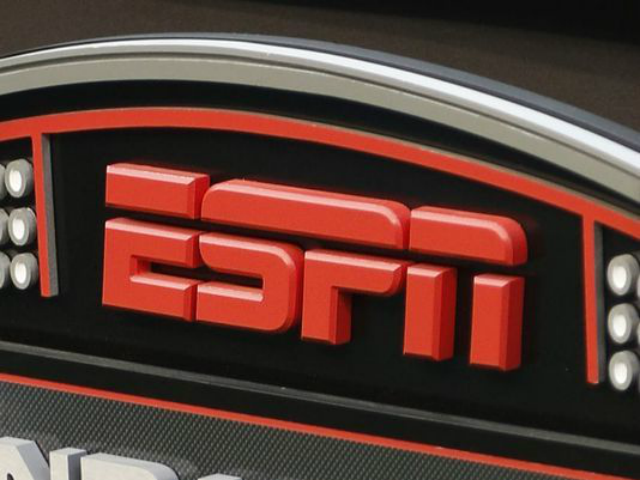 No, the problem isn’t that ESPN won’t hire conservatives. The problem is ESPN fires conservatives when they say conservative things. Rush Limbaugh got hired, but as soon as he said the sports media inflated Donovan McNabb’s worth because they had an interest in seeing a black quarterback do well, he was pressured to resign. Mike Ditka had been at ESPN forever, but one week after saying Obama is the “worst president we’ve ever had,” he was taken off NFL Countdown. While some say Ditka’s comments had nothing to do with his removal from NFL Countdown. The timing of that, given the four-letter network’s previous track record of dealing with conservatives, is more than suspicious. Not to mention Curt Schilling, who was dismissed after deigning to observe that a men’s room was designed for a man, and not for a woman. Put all this together and it’s easy to see that what ESPN wants in a conservative commentator, is essentially what David Brooks has been for the New York Times: a cardboard cut-out of an empty suit, who ostensibly representing the views of the opposition, but says nothing that ruffles the feathers of his politically correct overseers. Also imperative in this pathetic job description, is the requirement that the “conservative” retreat whenever his leftist betters go on the offense, and, that he lose every “debate” he’s permitted to engage in. Maybe Will Cain is better than this sad, shiftless, token conservative picture I’ve painted. I hope he is, chances are that Cain already knows what lines he is, and is not to cross. Though, it would be interesting to see how ESPN handles the first time Cain refers to abortion as the murderous legacy of a racist. Or when he makes the case that black Americans are a far greater danger to themselves, than white police officers. My guess is that would be his last day at ESPN.